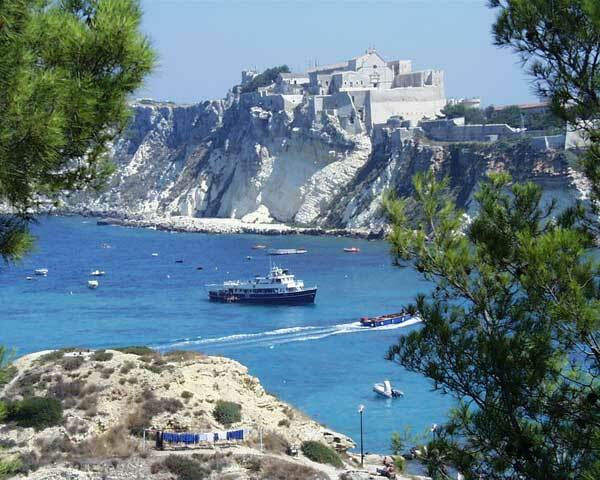 The island of San Nicola is dominated by the imposing bulk of the Castello della Badìa. This is built on the rocks, protected by a wall two kilometres in length. It is a tiny kingdom with its original urban complex: the square, the flight of steps, the church of Santa Maria, cloisters and portals. Over the centuries various monastic communities have inhabited the fortress.